This 500 foot White RG6 coaxial cable features a solid copper center conductor, an aluminum braid with 60% coverage and comes in a convenient pull-box. It is constructed of a pvc (polyvinyl chloride) outer jacket, a pure copper braid, a foam Polyethylene dielectric insulator and an 18AWG (American Wire Gauge) pure copper conductor. 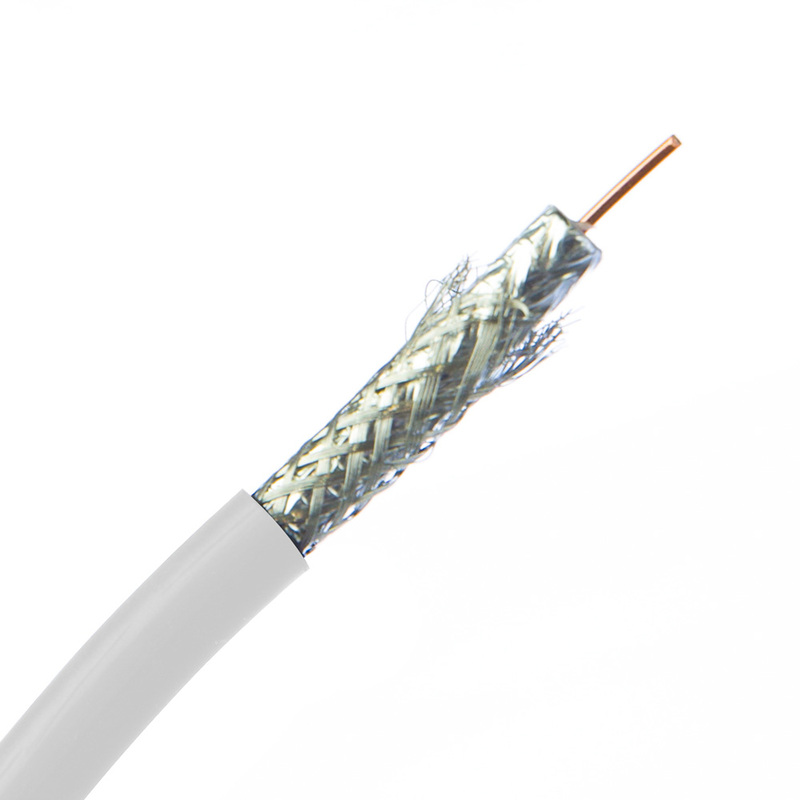 This cable is ideal for running video runs for CCTV, Surveillance/Security cameras and more.